Patriot Nations tells the remarkable history of the brave American Indian and Alaska Native men and women who have served in the United States military. Native peoples have participated in every major US military encounter from the Revolutionary War to today’s conflicts in the Middle East, serving at a higher rate in proportion to their population than any other ethnic group. 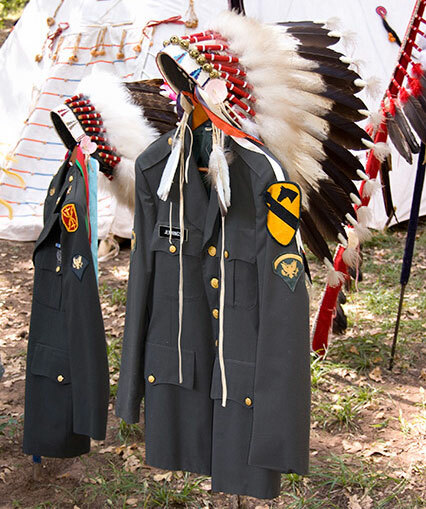 Produced by the Smithsonian’s National Museum of the American Indian, the exhibition was made possible by the generous support of the San Manuel Band of Mission Indians.